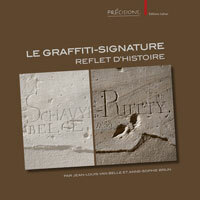 C.-G. SCHWENTZEL, « Statues royales nabatéennes », Res Antiquae 3, Bruxelles, 2006, p. 125-137. The royal iconography which appeared in the Nabataean kingdom is part of the imitation phenomenon of Hellenistic kingship by the Nabataean dynasty. Inscriptions found in Petra indicate that these images were private dedication to the king, not official monuments. However, it seems that this was the outcome of the royal propaganda which aimed at presenting the king as the benefactor of the people. The deification of a king named Obodas, probably at the time of Aretas IV, and the erection of statues in honour of this new god were also part of the royal propaganda.